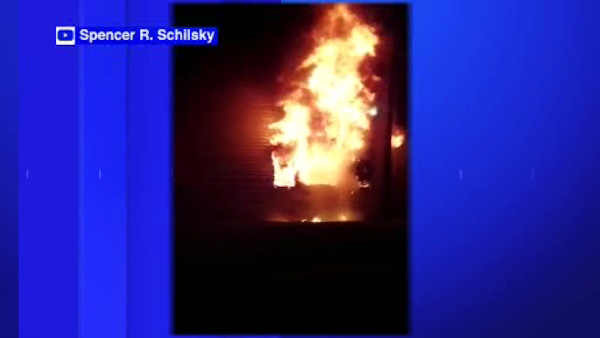 PURCHASE, New York (WABC) -- Firefighters battled a fire Sunday night in a college dormitory at SUNY Purchase. The blaze broke out at about 10 p.m. inside an apartment-style dorm on the campus in Westchester County. The building was evacuated, but no one was hurt. 18 students were relocated to a local hotel for emergency housing. The flames damaged six dorm rooms, but firefighters were able to extinguish the fire within an hour. The cause is under investigation, but the fire is not considered suspicious. Purchase College spokeswoman Betsy Aldredge said two local fire departments and Consolidated Edison were on scene. She says the blaze was contained to one room. Purchase College is among 64 universities that make up the State University of New York system. It's located on 500-acre farm in Westchester County, about 33 miles north of New York City near the Connecticut border. About 4,200 students attend the liberal arts college.